**Affiliate links used to show like or similar type items. You can see our Disclosure Policy HERE. Let’s take just a moment shall we? Disclaimer…… you will need a comfy chair and a cup of coffee, or tea, for this week’s salvaged feature. 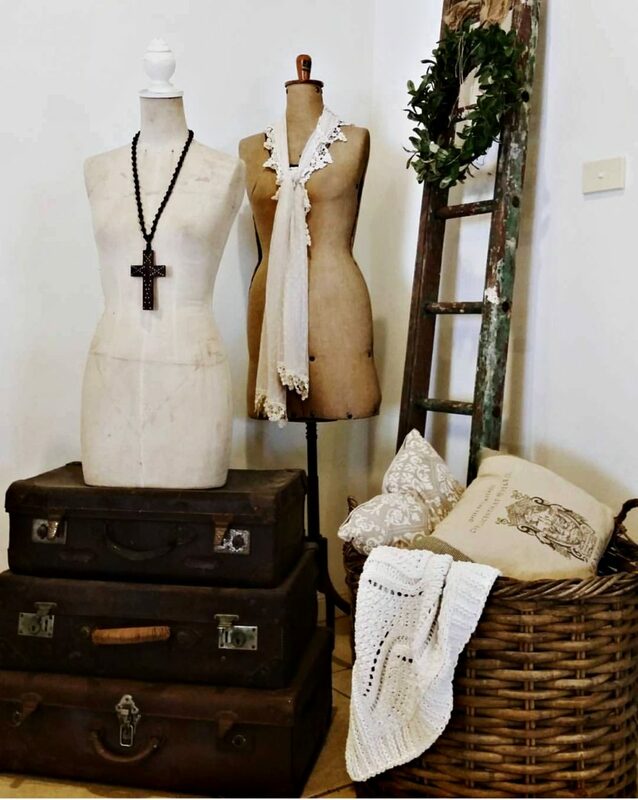 Sandy, at Vintage_Bliss on Instagram, is an Aussie with a serious flair for all things rustic and chippy. 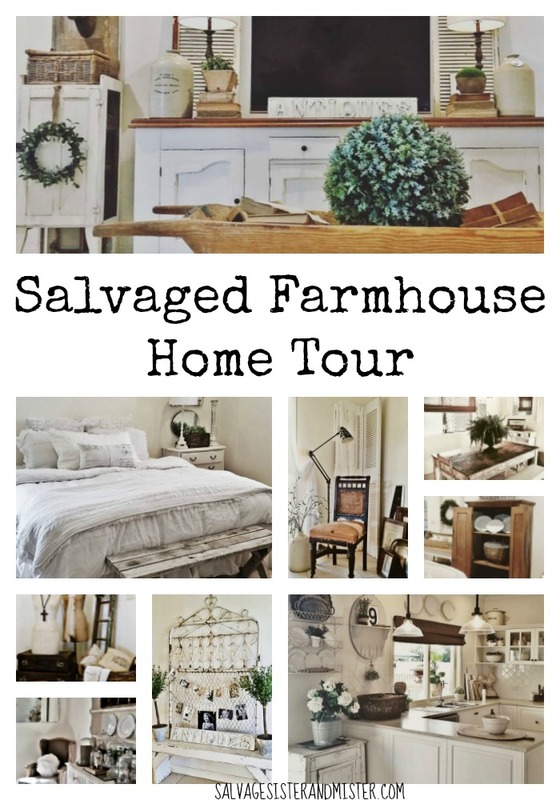 Today she is sharing a Salvaged Farmhouse Home Tour with us, so let’s go……. Welcome to her Veranda where everything is thrifted, even the plant. The bench seat was the bottom of an old stove. Her hubby added the timber seat! As you can see already, she has an eye for style and her hubby makes wonderful things just like the Mister. 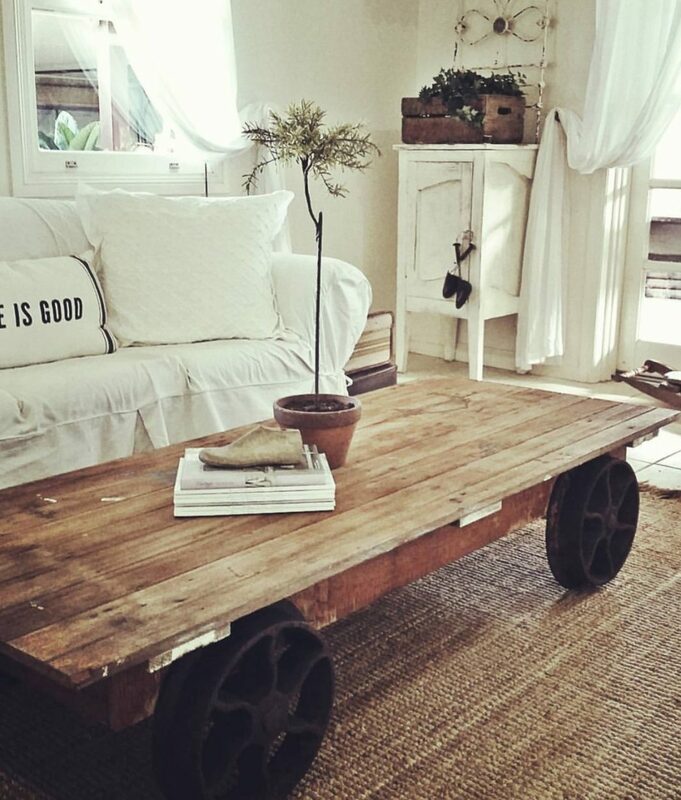 For this table he found the wheels at a yard sale, built a frame, and finally added an old door…HELLO Industrial Style Coffee Table!!! In this corner, she stacks up pictures of family….Great Grandparents, Grandparents, and their mums. All other items are junkin finds! 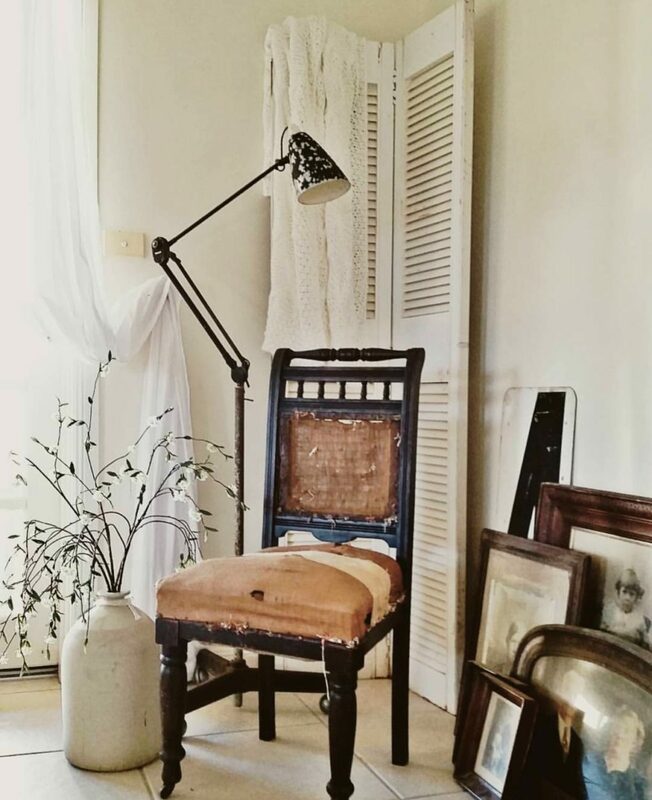 Sandy shows a perfect way to decorate a corner…items like the shutters and lamp are at different heights, a similar collection in the frames, and different textures. 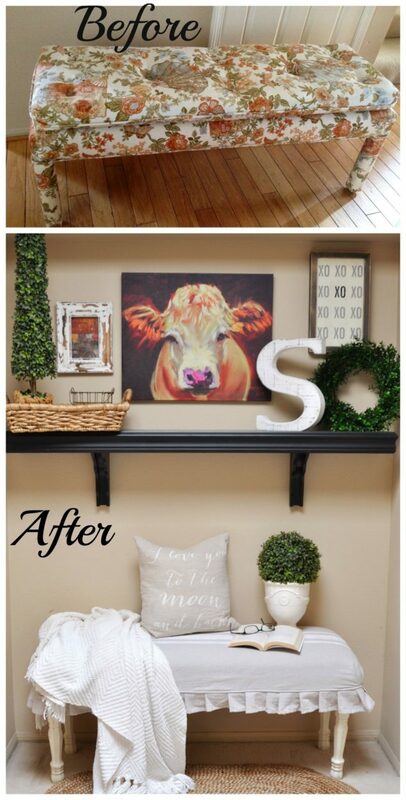 Decorating with meaning is so important when you are designing your space. Do you think Sandy would let us borrow this INCREDIBLE meatsafe? All we can say is WOW!!! This was on her veranda for years. She tried it inside and viola. Sometimes you just need to move a piece to a new space and let the magic begin. The only new things in this pic -pillows and wreath; everything else was thrifted! When they bought their TV, Sandy couldn’t find anything that would work so guess what? Yep, her hubby made it!!! 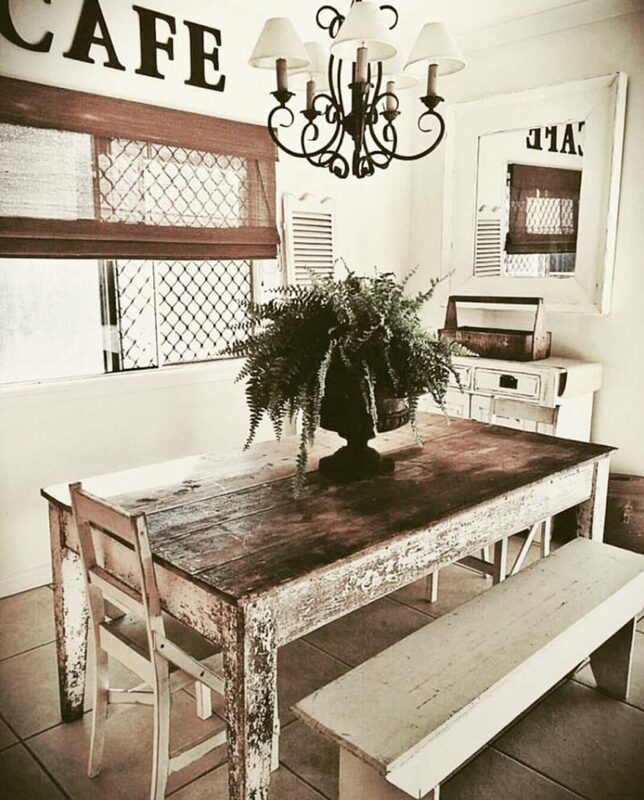 When her girlfriend found this big rustic farmhouse table but it was too big for her space, what’s a friend to do? Of course, you must rescue the table!!!! 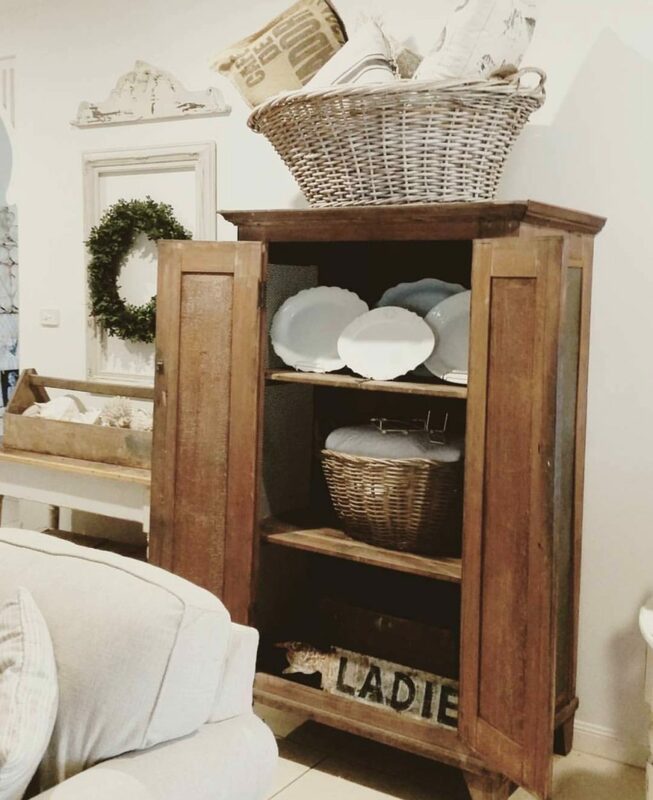 When Sandy found this huge timber shelf, it was marked down 75% but was stained an ugly color. 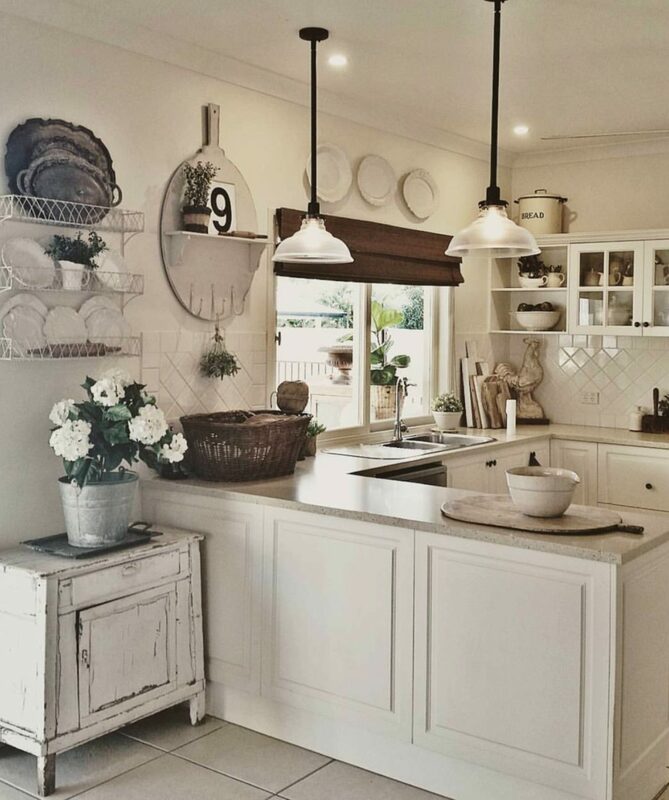 With a little chalk paint, she has a wonderful farmhouse item for her kitchen wall. Here’s our first time chalk painting a furniture piece. See how it turned out. 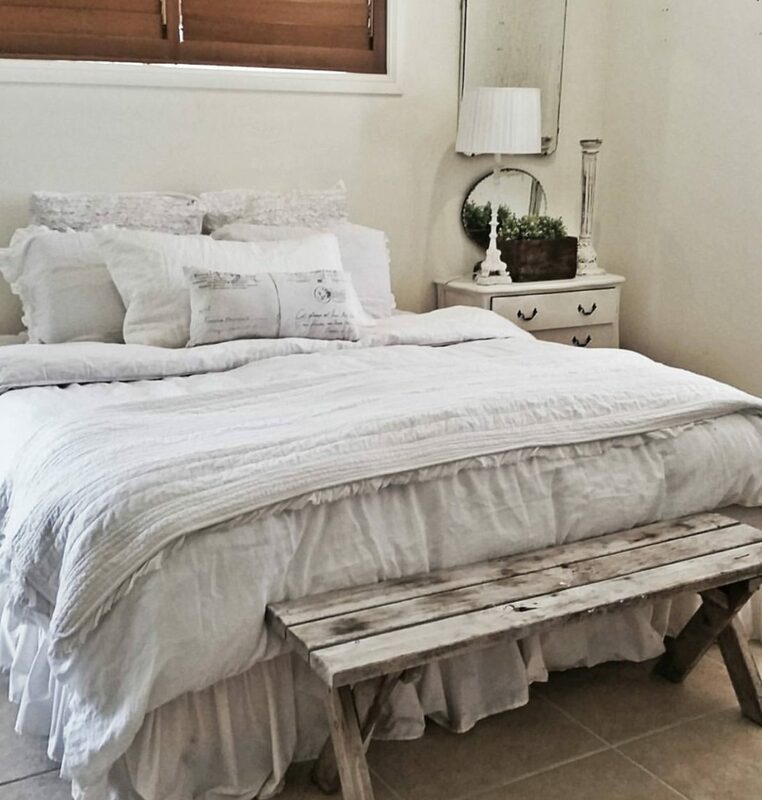 With flowing linens and a rustic bench, this is everything we love about the Farmhouse look! This vintage cot was going to a day bed but the dogs claimed it. 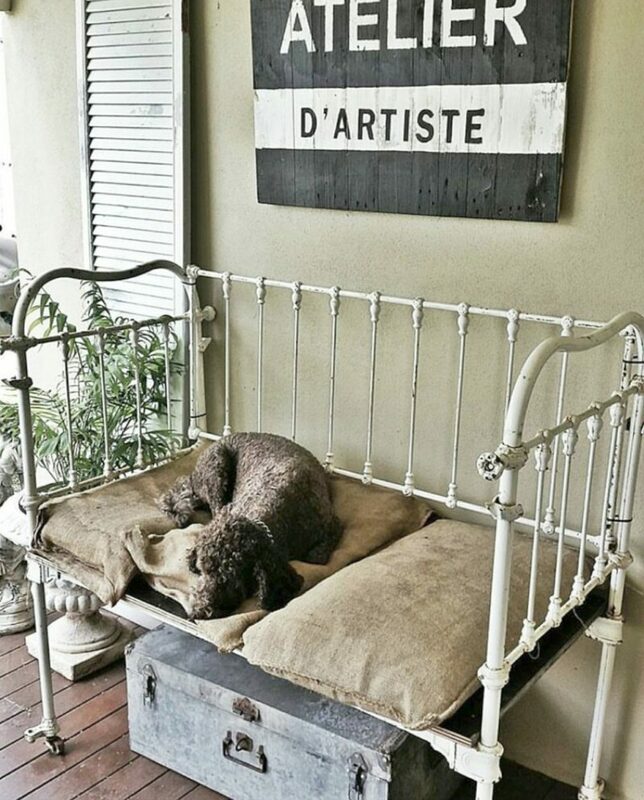 A farmhouse dog bed..now that’s style! 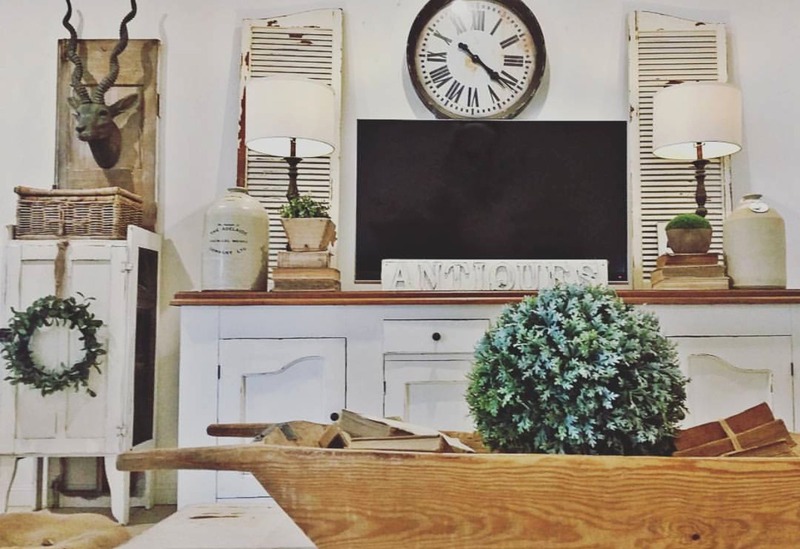 One of the thing I love about Sandy, besides her love of junkin, is she is always changing things around and it’s always inspiring! 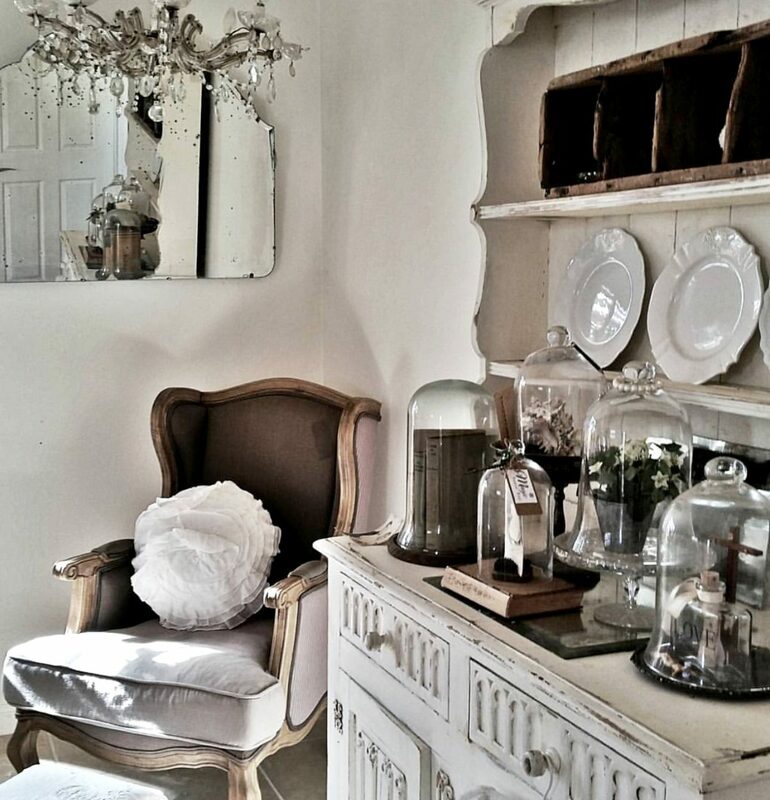 This is seriously just a glimpse into some of her home. Go and follow her on Instagram to see lots more! You will not be disappointed! If you are interested in being featured, please go to our #ssmfeatureme page to get more information. Love this! WOW! What an amazing job and love all the custom pieces. She is quite the decorator that’s for sure!! I love Sandy’s style! She has does an amazing job with her decorating. Everything is beautiful, and I really enjoyed the tour. 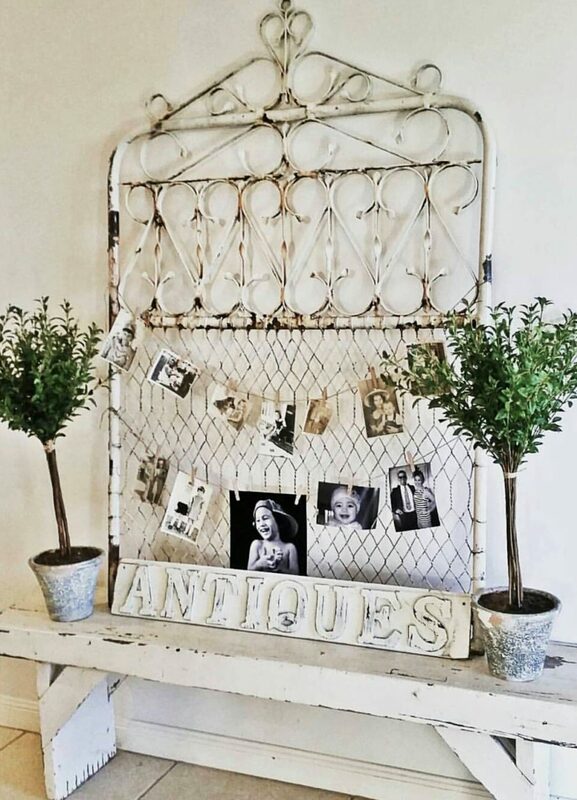 Very inspiring to see what you can do with thrift store finds. I agree. She is amazing! I love This home! 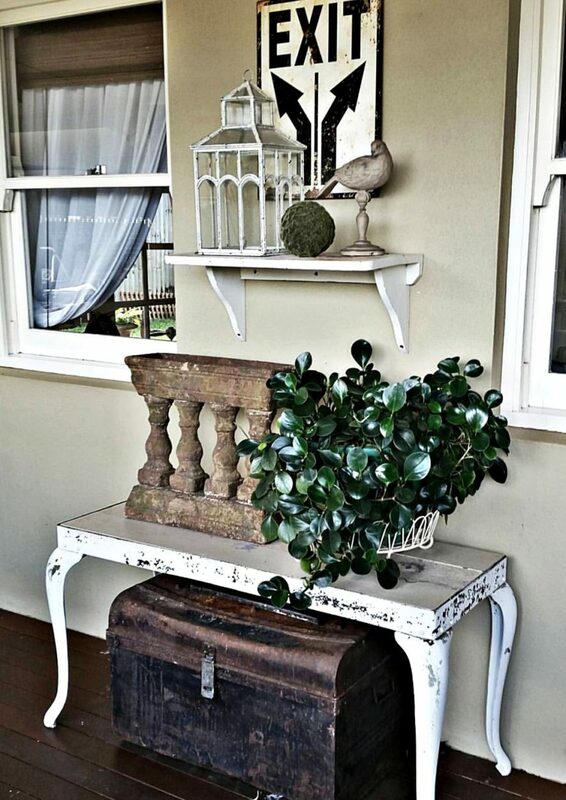 Sandy has a great eye for finding this gorgeous vintage pieces and decorating her home! Julie, She really does! Thanks for stopping by! Much appreciated! Love it all! Thanks for the tour and inspiration! Debbie, She is so talented for sure. Thanks so much for stopping by! !